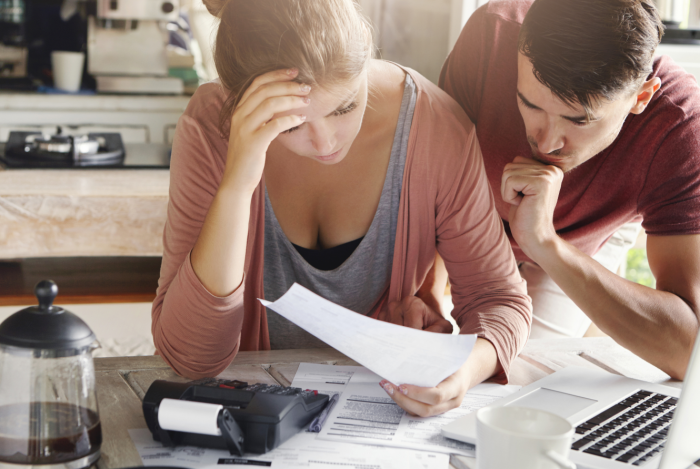 If you’re concerned about paying your bills, there are ways that you can get help. In this guide, you’ll find out how you can get help with your energy bills, including your energy supplier and the government. For many customers, the biggest fear is having your energy supply switched off suddenly. Luckily this is often the last resort for many companies, so it will only happen if there are no other options. This is why it’s so important to ensure that if you’re worried about not being able to pay your bills, contact your supplier as soon as possible. Sometimes, your energy supplier will arrange for you to have a prepayment meter so you can pay off your debts. You pay for your energy in advance like a week, and then when the next weekend comes along, you pay for the next week etc. Your debt will be paid off bit by bit every time you pay for your energy. Prepayment meters are more expensive when it comes to cost of your energy, and you should keep in mind that the cost per unit is much higher than on standard credit meters. The PSR was created, so suppliers give the correct support to those customers who need it. Ofgem designed and oversaw this system to ensure that if you require special requirements, you will receive additional support from your energy supplier. What help can I get through the Priority Services Register? The warm home discount is a government scheme that means that the big six energy suppliers, and any energy companies with 250,000 customers or more, should give you a one-time £140 rebate against your energy bills. Ofgem, the energy industry regulator, administers some aspects of the scheme. Large suppliers must legally offer this discount, but some smaller independent energy suppliers also provide this initiative to their customers. Typically, there are two different types of warm home discount; direct and indirect. You should automatically receive this payment if you are eligible, but you can also contact your supplier and find out more. People who are eligible should fall within one of these groups. The winter fuel payment is a payment that you can get from the government between November and December if you are eligible. This is mainly for people who are born on or before 1953 to help pay for your heating. It doesn’t affect any of the other benefits you might be receiving, and there may be some other schemes available to you too. Check out the EnergySeek guide to the cold weather payment here. You can seek assistance from debt advice agencies such as Citizens Advice. But you should always try and talk to your supplier first, whenever possible. If you’re looking at discounts or cash sums for your energy over winter, there are some other ways you can save some money. Having a well-insulated house means that you don’t have to heat your home as much, saying you could have some real savings on your costs. There are some grants available to minimise your costs. Evidence suggests that keeping your heating on at a lower level constantly could be cheaper than occasionally blasting your heating on then switching it off. Decreasing your temperature by even 1 degree could give you significant savings on your energy bills. A powerful shower can be a great luxury for many residents. But it could be costing you a considerable amount and turning the pressure down could save you some money. If you’re heating/cooking a small meal, you might want to use a small pan with the smallest ring on your hob, as using a large ring might be costing you in energy. Opening your oven once you have finished cooking your dinner and letting the heat from inside warm your home instead of using your mains can help you save money on your cooking. Unplugging your devices that drain a lot of energy such as your TV, phone chargers and computer even when they are turned off could give you some significant savings. Are you interested in making savings on your energy costs?